Why “ultra?” These special beauties have evolved flaming florescent red skirts with orbits of navy and baby blue rings around their bright yellow eyes. 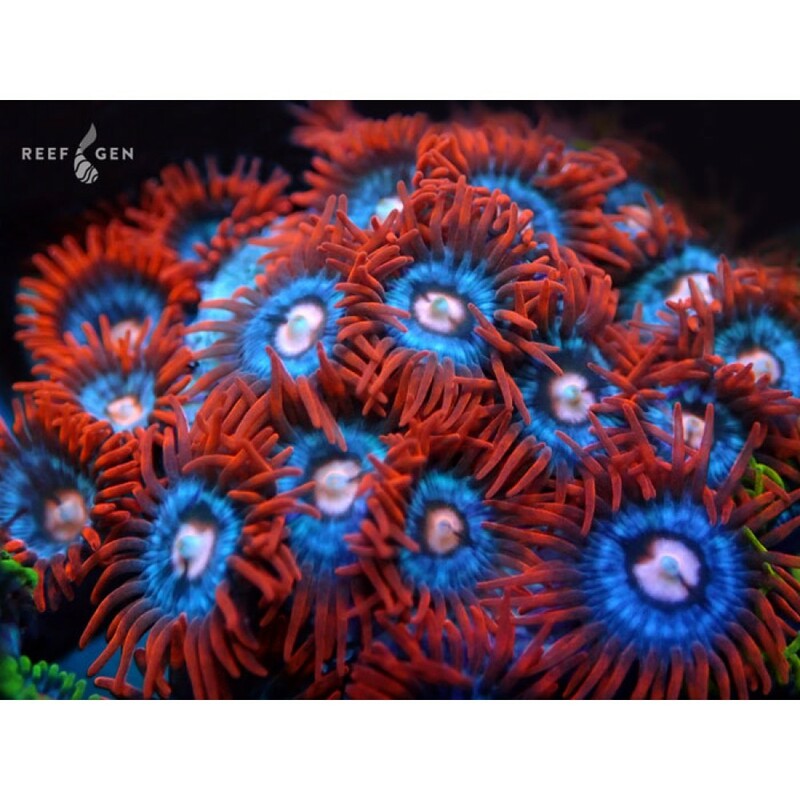 These shine incredibly brightly in our troughs as one of the most eye-catching zoas that we have. 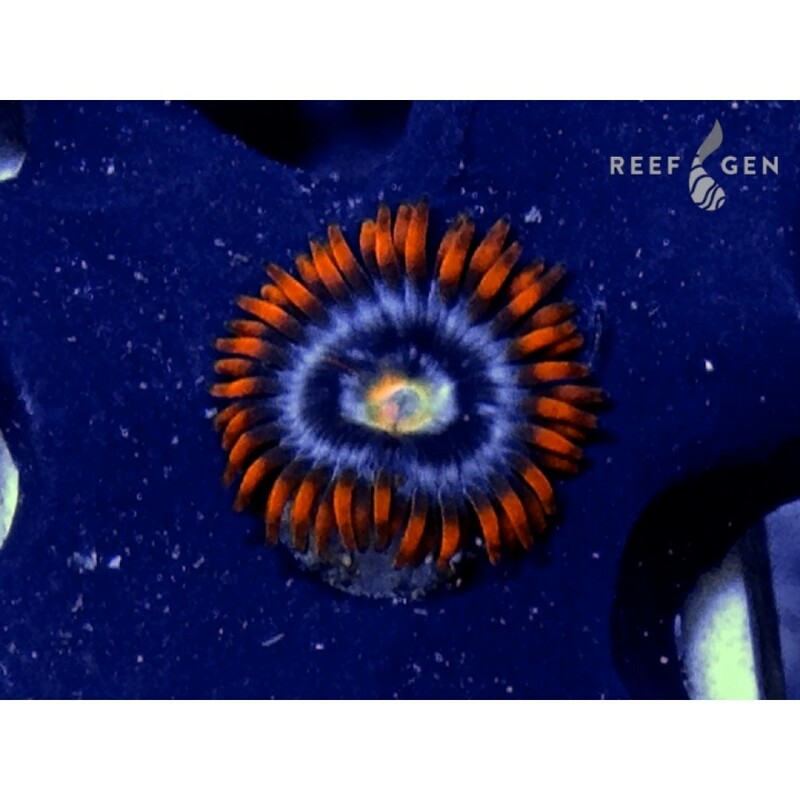 A diamond to any zoa collector.